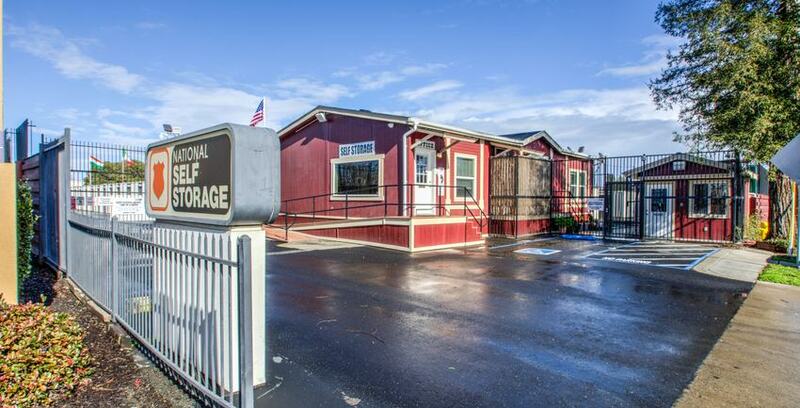 Robert H. Schoff has been involved in the self storage industry since 1974. His career began as the City Manager for Tucson Self Storage; an investment partnership sponsored by his brother Michael and his partner David Mackstaller for their company, the Schomac Group, Inc. By 1976, he was managing a citywide network of seven facilities, having approximately 360,000 total rentable square feet and over 4,000 storage rooms. From 1978 to 1980, he worked for Mini-Storage Insurance Corporation (Now Minico) of Phoenix. He coordinated sales, advertising, and accounting for that rapidly growing company and held a State of Arizona Insurance Sales license during his time there. In October 1980, Mr. Schoff was recruited by National Self Storage to become its Vice President in charge of operations. In this position, he was responsible for the operations of all National Self Storage facilities in Sacramento, Salt Lake City, Denver, El Paso, and Tucson. In 1986, Mr. Schoff was promoted to President of National Self Storage Development, Inc. to oversee acquisition and development of over 30 storage facilities in that period of strong growth. He then spent nearly two years as an independent consultant to the self storage industry, and in February 1991, he rejoined NSS to coordinate their consulting and contract management divisions. Elected President of National Self Storage Management Inc. in 1994, Mr. Schoff was responsible for the operations of all National Self Storage facilities. He is currently the Chairman of the Board and President of NSS. In addition, Mr. Schoff is the Designated licensed State of Arizona Real Estate Broker. for the firm. Mr. Schoff has been actively involved in the national Self Storage Association (SSA) since its predecessor, The American Mini Warehouse Association, was founded in 1974. He was one of the original 52 members attending the first meeting of the association, in Denver, that now numbers over 2,500 members and 6,000 facilities throughout the world. He has served on both the SSA board of directors and Western Region Self Storage Association board of directors. Mr. Schoff began his second three-year run on the SSA Board of Directors in January 2006 and was SSA Board Chairman for 2009. Mr. Schoff has been a published author for numerous industry publications, such as the Mini Storage Messenger, the Inside Self Storage Magazine, and the Inside Self Storage Fact Book. He has participated as a speaker, member, vendor, and instructor, in numerous self storage industry conferences, trade shows and educational seminars. In addition, Mr. Schoff has served as a self storage industry expert in legal proceedings. In 2018, Bob was inducted into the Self Storage Association Hall of Fame. Robert H. Schoff graduated with a Bachelor of Science Degree in Business Administration from the University of Arizona, Tucson in 1978. Travis Morrow served as a finance intern for National Self Storage from January through May 2003. During that time, he developed a prototype for a competitive analysis database used to track competition trends for all NSS markets. After a two-year activation with the Arizona Army National Guard, Mr. Morrow rejoined National Self Storage as the Consulting Division Manager. His duties included conducting feasibility and market demand studies for National Self Storage for new development and acquisitions. In January 2006, Mr. Morrow was promoted to Vice President of the company and President in 2017. He was and still is responsible for the acquisition, development, and growth of National Self Storage into the future. Mr. Morrow also stays active within state associations, currently serving as a director on the Arizona Self Storage Association and is the former President of the Nevada Self Storage Association and the Arizona Self Storage Association. He has been serving as a Director on the National SSA Board since 2014. In 2017, Mr. Morrow was named President-Self Storage Division of Strat Property Management, Inc. in San Diego, CA. (www.stratprop.com) This appointment brings under his supervision an additional 55 self storage locations in California and Texas in addition to the 10 National Self Storage managed facilities. Travis Morrow received a Bachelor of Science Degree in Finance from the University of Arizona, Tucson in May 2003. Mr. Morrow is the designated real estate broker for National Self Storage Management, Inc. in Arizona.